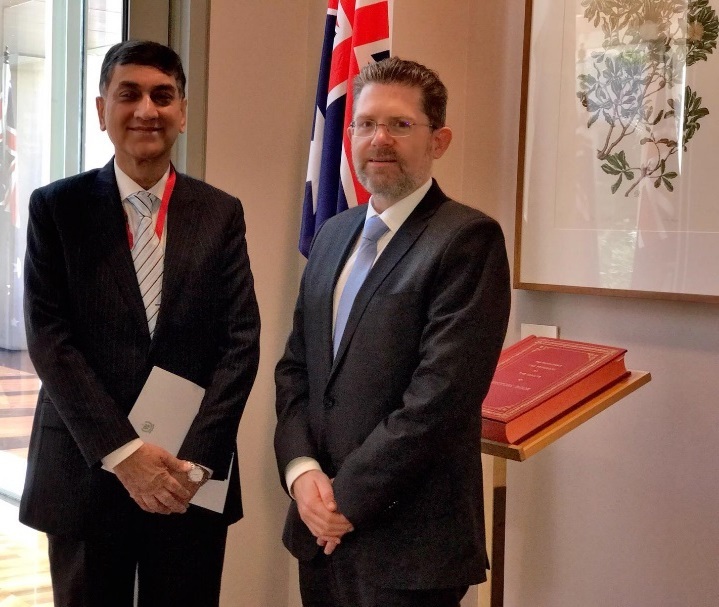 The High Commissioner for Pakistan, Mr. Babar Amin met with the President of the Australian Senate, the Hon. Scott Ryan to discuss parliamentary cooperation between the two countries. The High Commissioner briefed the President of the Senate on the recently held successful general elections in Pakistan. He highlighted the Government’s developmental and foreign policy priorities including to strengthen parliamentary cooperation with friendly countries. 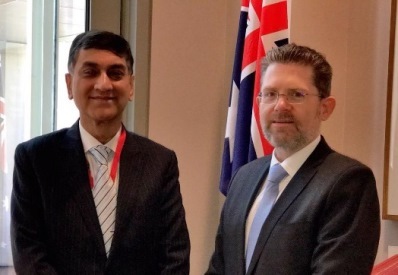 The High Commissioner informed the President of the formulation of Pakistan-Australia Friendship Group in the Senate of Pakistan and recommended strengthening the mechanism for regular interaction between Senates of the two countries to enhance understanding and cooperation. The High Commissioner reiterated the invitation by the Chairman, Senate of Pakistan, to the President of Australian Senate and Speaker of the House of Representatives to participate in the Meeting of Asian Parliamentary Assembly (APA)’ Standing Committee on Political Affairs in Gwadar on 29-31 October 2018. The President of the Australian Senate expressed the desire to strengthen Parliamentary relations with Pakistan. 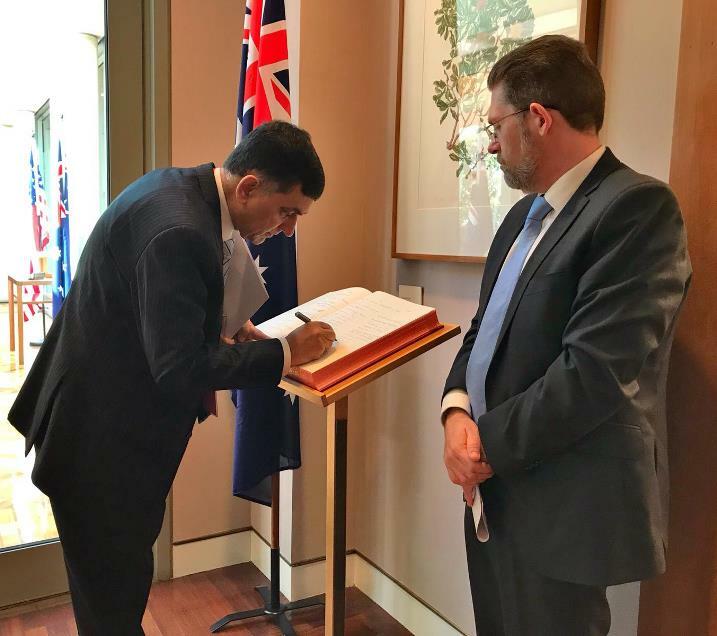 He lauded the constitution of Australia-Pakistan Parliamentary Friendship Group in the Senate of Pakistan. The President also called for a greater interaction between the two Parliaments including at the multilateral parliamentary forums. He informed that the invitation to attend the APA meeting in Pakistan was under consideration and would be responded in due course. He appreciated the idea of assistance in legislative capacity building and assured to have it looked into for possibilities.